Gently uplifting, mildly helpful to reduce stomach tension. Considered extremely supportive for both the body and emotions. Excellent for vitality and energy. 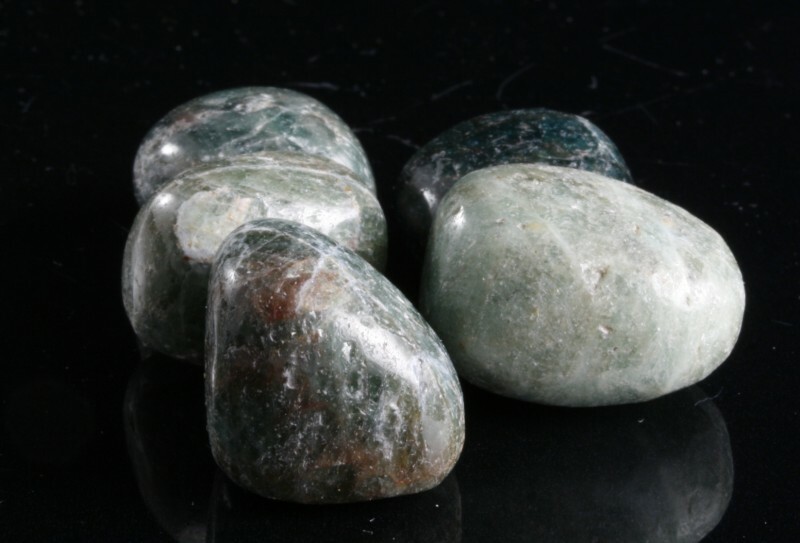 Green Apatite The 'Stone of Cleansing', a helpful energetic cleanser for all levels of the self and surrounding environments. Raspberry Garnet The 'stone of new beginnings', this stone holds beautiful energies that will attract love and charm, very good to use at the beginning of a new relationship or a new venture to help ensure everything flows freely and positively. All the crystals and tumbled stones in this section have with one thing in common: They begin with the letter G.